Homework goes home every Monday, and should be returned every Friday. Homework Folders have two sides, one for things to return to the classroom, and one side to keep at home. Students may bring their own lunches or purchase lunch in the cafeteria. Lunches from home should come in unbreakable containers, no glass please. If you are interested in buying lunch, the cafeteria will always accept cash, or you may put money on a student lunch card online. Details will be provided the first week of school. What is a Wednesday folder? Every Wednesday your child will bring home a large plastic folder containing weekly classwork and notices from the school office. The folder should be returned by Friday. We use the large plastic folders for the entire school year. Lost folders are not replaced. What if my child needs medication during the school day? If your child has a medical need during the school day, you will need to provide a note, and the medication to the school office. More details are available via the school nurse. What can I do for my child's birthday? We love to celebrate birthdays, you may provide small treats as long as there are enough for every child. Small muffins, cupcakes, cookies, juice boxes, or fresh fruit are welcome. We will enjoy the treats at recess or lunchtime, depending upon our daily schedule. If you bring a cake, you will have to provide plates, napkins, and you will need to stay to serve it and clean up. (Remember to bring a knife too!) I do not send home birthday party invitations unless there is an invitation for every child in the class. You can get phone numbers and addresses from the school directory. What about recess? What do kids do? Can I send a snack? 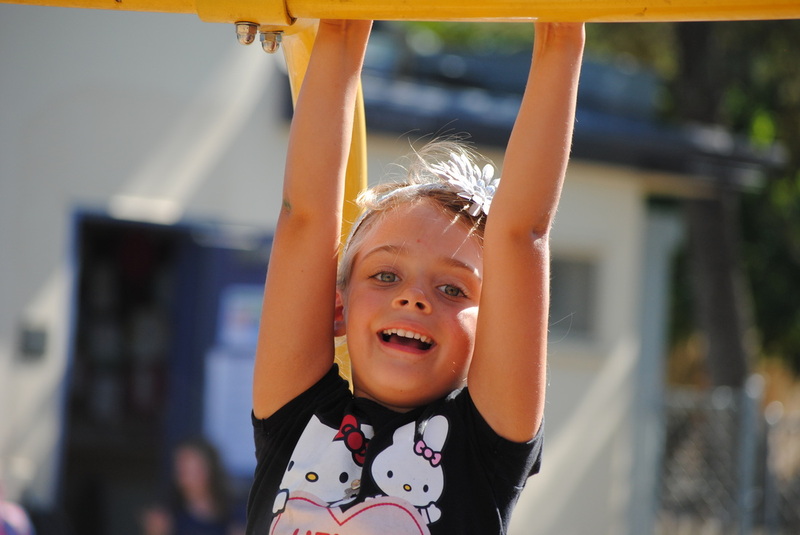 Our recess period is 20 minutes, 5 -10 minutes for a snack, followed by time to play. Balls, bikes and jump ropes are provided, please do not bring toys from home. You may provide a snack for your child. Many students choose to eat something from their lunchboxes during this time. We also share snack with all students daily. You will be asked to bring a snack of your choice for the whole class once a month. Children love crackers, dry cereal, cheese sticks, fresh fruit, granola bars, and juice boxes. Watch for more details in the homework folder. If it is necessary for your child to miss school, you can call the school office or log on to the school website to report and absence. You can also send a note to class explaining the reason for the absence. What if my child gets ill at school? If your child becomes ill at school, you will be called. It is essential that all the information on your emergency card is up to date. The school office will call parents first, and if a parent is not available, they will continue to call until they make contact with someone on the emergency card. What do I do with school library books? Once a week, your child will go to the school library on campus. 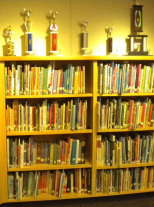 Each child is allowed to check out one book, when the book is returned, another book can be checked out. If a book is lost, it is expected that the parent pay for the replacement cost of the book. What if I want to observe or help in the classroom? If you would like to visit the classroom, please contact the teacher, or leave a message in the school office. What if I want a parent conference with the teacher? I can be contacted via email or phone. Please allow 48 hours for me to get back to you. I receive many, many emails every day. What if I think my child may have a learning disability? All students can be tested for disabilities, however there is protocal in order for the testing to take place. You should express your concern, and observations with me first, and then we will work together to get appropriate and timely assistance for your child. What if we have a family tragedy during the school year? Did you know that emotions affect learning? If your family is in "crisis", it is helpful to let me know. By letting me know, I can make appropriate adjustments in classroom assignments as needed to insure the best emotional learning environment possible. Our district also has a school psychologist available on an as needed basis. What if my child is being bullied? Please contact me immediately, then we will follow school protocal to effectively intervene as quickly as possible. Please come prepared to share specific examples of the way you feel your child has been mistreated. .
What if I want to support the iPad project? Can I buy my child and iPad and send it to school? We are excited about the potential for academic success that iPads will add to the classroom . As you browse this website, you will find references to the apps we are currently using. We will go on a variety of field trips during the school year. Parents are welcome to attend as chaperones, and may ride the school bus, or follow the bus in private cars. Children are expected to ride the bus. Field trip permission slips will be sent home a few weeks before each trip. Students who do not return the permission slip may not attend and will stay on campus under the supervision of another classroom teacher. Parents who attend are asked to fill out a chaperone permission slip. Donations are often collected to offset the cost of the trips, however if a child cannot pay the fee, the child can still attend the trip. Our field trips are a possible due to the generous work of our PTA. What about the PTA? Why does it matter? Our PTA raises the money that makes it possible for us to have an on site librarian, an art lab and art teacher, a computer lab and tech assistant, a science lab and science teacher, assemblies, field trips and classroom supplies. By joining PTA, and by volunteering for at least one event during the school year, the responsibility for excellent education for all students is shared evenly.